Typed Arrays are an ECMAScript 6 API for handling binary data. This blog post explains how they work. // The elements are stored in typedArray.buffer. Typed Arrays (Uint8Array, Int16Array, Float32Array, etc.) 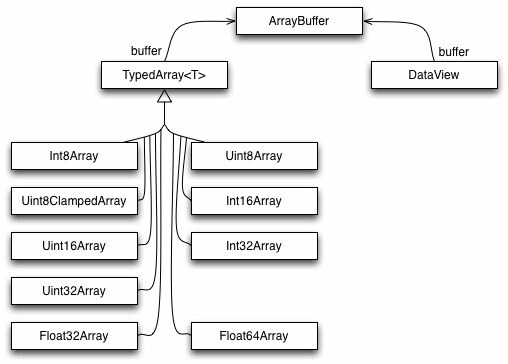 interpret the ArrayBuffer as an indexed sequence of elements of a single type. Instances of DataView let you access data as elements of several types (Uint8, Int16, Float32, etc. ), at any byte offset inside an ArrayBuffer. Processing binary data: manipulating image data in HTML Canvas elements, parsing binary files, handling binary network protocols, etc. Buffers: Instances of ArrayBuffer hold the binary data. An instance of a Typed Array constructor (Uint8Array, Float64Array, etc.) works much like a normal Array, but only allows a single type for its elements and doesn’t have holes. An instance of DataView lets you access data at any byte offset in the buffer, and interprets that data as one of several types (Uint8, Float64, etc.). Typed Arrays were a separate specification before they became part of the ECMAScript 6 standard. Just to be super-clear (and I was around when it was born), Uint8ClampedArray is totally a historical artifact (of the HTML5 canvas element). Avoid unless you really are doing canvas-y things. The highest value plus one is converted to the lowest value (0 for unsigned integers). The lowest value minus one is converted to the highest value. All underflowing values are converted to the lowest value. All overflowing values are converted to the highest value. Big endian: the most significant byte comes first. For example, the Uint16 value 0xABCD is stored as two bytes – first 0xAB, then 0xCD. Little endian: the least significant byte comes first. For example, the Uint16 value 0xABCD is stored as two bytes – first 0xCD, then 0xAB. Endianness tends to be fixed per CPU architecture and consistent across native APIs. Typed Arrays are used to communicate with those APIs, which is why their endianness follows the endianness of the platform and can’t be changed. On the other hand, the endianness of protocols and binary files varies and is fixed across platforms. Therefore, we must be able to access data with either endianness. DataViews serve this use case and let you specify endianness when you get or set a value. Big-endian representation is the most common convention in data networking; fields in the protocols of the Internet protocol suite, such as IPv4, IPv6, TCP, and UDP, are transmitted in big-endian order. For this reason, big-endian byte order is also referred to as network byte order. Little-endian storage is popular for microprocessors in part due to significant historical influence on microprocessor designs by Intel Corporation. You can use the following function to determine the endianness of a platform. There are also platforms that arrange words (pairs of bytes) with a different endianness than bytes inside words. That is called mixed endianness. Should you want to support such a platform then it is easy to extend the previous code. With the bracket operator [ ], you can only use non-negative indices (starting at 0). The methods of ArrayBuffers, Typed Arrays and DataViews work differently: every index can be negative. If it is, it counts backwards from the length. In other words, it is added to the length to produce a normal index. Therefore -1 refers to the last element, -2 to the second-last, etc. Methods of normal Arrays work the same way. then you get a RangeError. ArrayBuffers store the data, views (Typed Arrays and DataViews) let you read and change it. In order to create a DataView, you need to provide its constructor with an ArrayBuffer. Typed Array constructors can optionally create an ArrayBuffer for you. Invoking this constructor via new creates an instance whose capacity is length bytes. Each of those bytes is initially 0. Returns true if arg is an object and a view for an ArrayBuffer. Only Typed Arrays and DataViews have the required internal property [[ViewedArrayBuffer]]. That means that this check is roughly equivalent to checking whether arg is an instance of a Typed Array or of DataView. Returns the capacity of this ArrayBuffer in bytes. Creates a new ArrayBuffer that contains the bytes of this ArrayBuffer whose indices are greater than or equal to start and less than end. start and end can be negative (see Sect. “Negative indices”). All of their elements have the same type, setting elements converts values to that type. They are contiguous. Normal Arrays can have holes (indices in the range [0, arr.length) that have no associated element), Typed Arrays can’t. new Array(10) creates a normal Array without any elements (it only has holes). new Uint8Array(10) creates a Typed Array whose 10 elements are all 0. An associated buffer. The elements of a Typed Array ta are not stored in ta, they are stored in an associated ArrayBuffer that can be accessed via ta.buffer. ArrayBuffers and DataViews are not iterable. The classic way to convert a Typed Array to an Array is to invoke Array.prototype.slice on it. This trick works for all Array-like objects (such as arguments) and Typed Arrays are Array-like. Some methods create new instances that are similar to this. The species pattern lets you configure what constructor should be used to do so. For example, if you create a subclass MyArray of Array then the default is that map() creates instances of MyArray. If you want it to create instances of Array, you can use the species pattern to make that happen. 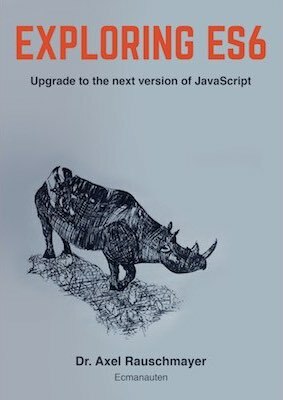 Details are explained in Sect “The species pattern” in “Exploring ES6”. Whenever an ArrayBuffer is cloned inside a Typed Array or DataView. DataViews don’t use the species pattern. Both static TypedArray methods are inherited by its subclasses (Uint8Array etc.). It creates a new Typed Array that is an instance of this (the class on which of() was invoked). The elements of that instance are the parameters of of(). It converts the iterable source into an instance of this (a Typed Array). No intermediate Array or Typed Array is needed. When converting a Typed Array to a Typed Array whose elements have a higher precision, the mapping step can make use of that higher precision. According to Allen Wirfs-Brock, mapping between Typed Arrays was what motivated the mapfn parameter of from(). Indices accepted by Typed Array methods can be negative (they work like traditional Array methods that way). Offsets must be non-negative. For details, see Sect. “Negative indices”. Returns the buffer backing this Typed Array. Returns the size in bytes of this Typed Array’s buffer. Returns the offset where this Typed Array “starts” inside its ArrayBuffer. Copies all elements of arrayOrTypedArray to this Typed Array. The element at index 0 of arrayOrTypedArray is written to index offset of this Typed Array (etc.). If arrayOrTypedArray is a normal Array, its elements are converted to numbers who are then converted to the element type T of this Typed Array. If arrayOrTypedArray is a Typed Array then each of its elements is converted directly to the appropriate type for this Typed Array. If both Typed Arrays have the same element type then faster, byte-wise copying is used. Returns a new Typed Array that has the same buffer as this Typed Array, but a (generally) smaller range. 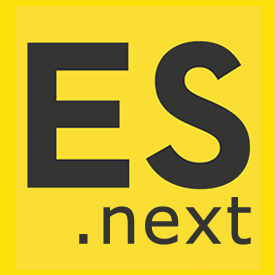 If begin is non-negative then the first element of the resulting Typed Array is this[begin], the second this[begin+1] (etc.). If begin in negative, it is converted appropriately. Copies the elements whose indices are between start (including) and end (excluding) to indices starting at target. 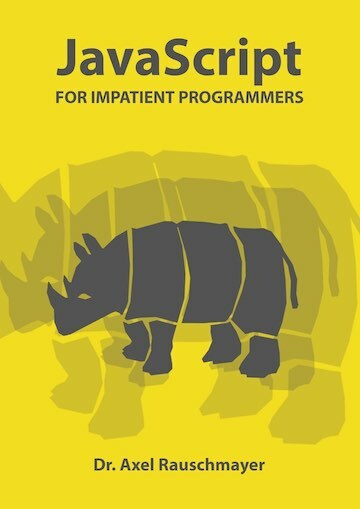 If the ranges overlap and the former range comes first then elements are copied in reverse order to avoid overwriting source elements before they are copied. Returns an iterable over [index,element] pairs for this Typed Array. 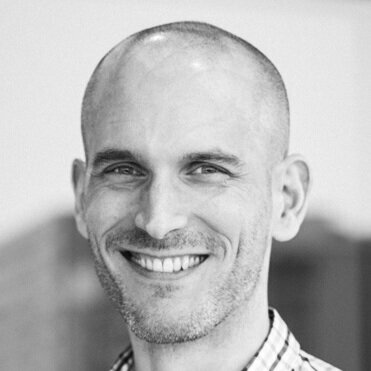 Returns true if callbackfn returns true for every element of this Typed Array. Otherwise, it returns false. every() stops processing the first time callbackfn returns false. Set the elements whose indices range from start to end to value. Returns a Typed Array that contains every element of this Typed Array for which callbackfn returns true. In general, the result is shorter than this Typed Array. Returns the first element for which the function predicate returns true. Returns the index of the first element for which predicate returns true. Iterates over this Typed Array and invokes callbackfn for each element. Returns the index of the first element that strictly equals searchElement. The search starts at fromIndex. Converts all elements to strings and concatenates them, separated by separator. Returns an iterable over the indices of this Typed Array. Returns the index of the last element that strictly equals searchElement. The search starts at fromIndex, backwards. Returns the length of this Typed Array. Returns a new Typed Array in which every element is the result of applying callbackfn to the corresponding element of this Typed Array. callbackfn is fed one element at a time, together with the result that was computed so far and computes a new result. Elements are visited from left to right. callbackfn is fed one element at a time, together with the result that was computed so far and computes a new result. Elements are visited from right to left. Reverses the order of the elements of this Typed Array and returns this. Create a new Typed Array that only has the elements of this Typed Array whose indices are between start (including) and end (excluding). Returns true if callbackfn returns true for at least one element of this Typed Array. Otherwise, it returns false. some() stops processing the first time callbackfn returns true. Sorts this Typed Array, as specified via comparefn. If comparefn is missing, sorting is done ascendingly, by comparing via the less-than operator (<). Returns an iterable over the values of this Typed Array. The following methods are new in ES6 and explained in chapter “New Array features” of “Exploring ES6”: copyWithin, entries, fill, find, findIndex, keys, values. Each Typed Array constructor has a name that follows the pattern «ElementType»Array, where «ElementType» is one of the element types in the table at the beginning. That means that there are 9 constructors for Typed Arrays: Int8Array, Uint8Array, Uint8ClampedArray (element type Uint8C), Int16Array, Uint16Array, Int32Array, Uint32Array, Float32Array, Float64Array. Creates a new Typed Array whose buffer is buffer. It starts accessing the buffer at the given byteOffset and will have the given length. Note that length counts elements of the Typed Array (with 1–4 bytes each), not bytes. Creates a Typed Array with the given length and the appropriate buffer (whose size in bytes is length * «ElementType»Array.BYTES_PER_ELEMENT). Creates a Typed Array whose length is 0. It also creates an associated empty ArrayBuffer. Creates a new Typed Array that has the same length and elements as typedArray. Values that are too large or small are converted appropriately. Treats arrayLikeObject like an Array and creates a new TypedArray that has the same length and elements. Values that are too large or small are converted appropriately. Creates a new DataView whose data is stored in the ArrayBuffer buffer. By default, the new DataView can access all of buffer, the last two parameters allow you to change that. Returns the ArrayBuffer of this DataView. Returns how many bytes can be accessed by this DataView. Returns at which offset this DataView starts accessing the bytes in its buffer. Reads a value from the buffer of this DataView. Writes value to the buffer of this DataView. Typed Arrays have been around for a while, so there are quite a few browser APIs that support them. The file API lets you access local files. The following code demonstrates how to get the bytes of a submitted local file in an ArrayBuffer. WebGL uses the Typed Array API for: accessing buffer data, specifying pixels for texture mapping, reading pixel data, and more. The Web Audio API lets you decode audio data submitted via an ArrayBuffer. Media Source Extensions: The HTML media elements are currently <audio> and <video>. The Media Source Extensions API enables you to create streams to be played via those elements. You can add binary data to such streams via ArrayBuffers, Typed Arrays or DataViews. Communication with Web Workers: If you send data to a Worker via postMessage(), either the message (which will be cloned) or the transferable objects can contain ArrayBuffers. Cross-document communication: works similarly to communication with Web Workers and also uses the method postMessage(). The code of the following example is on GitHub. And you can run it online. The example is a web pages that lets you upload a JPEG file and parses its structure to determine the height and the width of the image and more. Marker (two bytes): declares what kind of data is stored in the segment. The first of the two bytes is always 0xFF. Each of the standard markers has a human readable name. For example, the marker 0xFFC0 has the name “Start Of Frame (Baseline DCT)”, short: “SOF0”. Length of segment (two bytes): how long is this segment (in bytes, including the length itself)? JPEG files are big-endian on all platforms. Therefore, this example demonstrates how important it is that we can specify endianness when using DataViews. The following function processArrayBuffer() is an abridged version of the actual code; I’ve removed a few error checks to reduce clutter. processArrayBuffer() receives an ArrayBuffer with the contents of the submitted JPEG file and iterates over its segments. // Did we find what we were looking for? enforceValue() throws an error if the expected value (first parameter) doesn’t match the actual value (second parameter). logInfo() and logError() display messages on the page. hex() turns a number into a string with two hexadecimal digits. Prototype methods borrowed from Arrays: TypedArray<T>.prototype.map() etc. It may take a while until these are available everywhere. As usual, kangax’ “ES6 compatibility table” describes the status quo.